Killer Characters: Seize the Opportunity! An enterprising person can always find a way to make a living. Searching for opportunities, I came upon a mansion owned by the village of Elderberry Bay. The village wants to unload the mansion cheaply. All the new owner has to do is bring the huge Victorian house back to code and pay taxes. 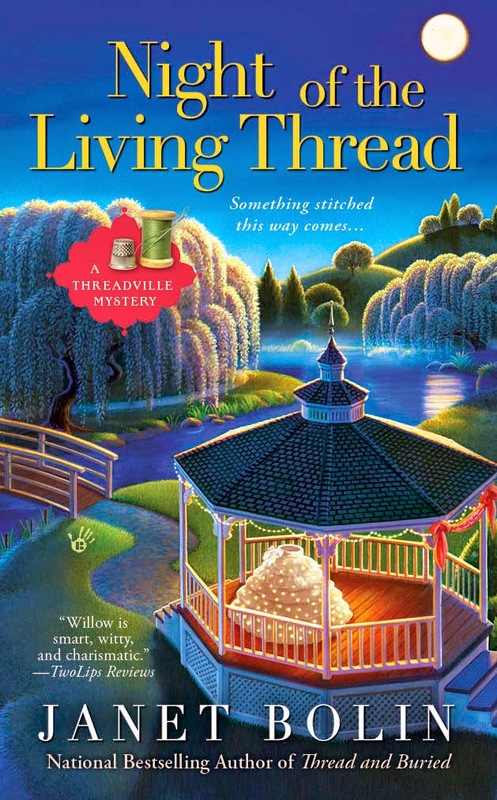 However, investigating Elderberry Bay further, I discovered that the village is also known as Threadville because the main street is lined with shops catering to people who like to sew, knit, and create all sorts of fashion and home decoration. Threadville is so popular that tour buses come to it every day, and the shops are thriving. So...the lightbulb went off in my head. I could run a business in my mansion that would cater to Threadville's fashion-loving crowd. And that's how the Threadville Academy of Design and Modeling, TADAM for short (rhymes with madam) was conceived. The good citizens of Threadville will want to welcome me and my academy because of the hundreds of students who will potentially be their customers. Here's my plan. I'll start advertising the academy right away, and line up students. Their tuition deposits will help with the renovations and the hiring of teachers. Then I'll renovate, complete with a luxurious director's suite on the third floor for my wife and me, and we can open this fall. Shortly after the students start classes, why not draw attention to the school by hosting a fashion show? I'll convince the good ladies of Threadville to create and model outfits for it. I'll tell them we're raising funds for scholarships. And I've thought of a gimmick that will make everyone remember that fashion show--and my academy--for a long time. I'm going to have some fun. And I'll also make loads of money while living in a really nice place--not only the luxury director's suite in the TADAM mansion, but the village, also. It's on the shore of Lake Erie and has great beaches. You can read about Antonio's ill-fated adventures in SEVEN THREADLY SINS, which will be in stores May 5. Pre-order it at one of these booksellers. 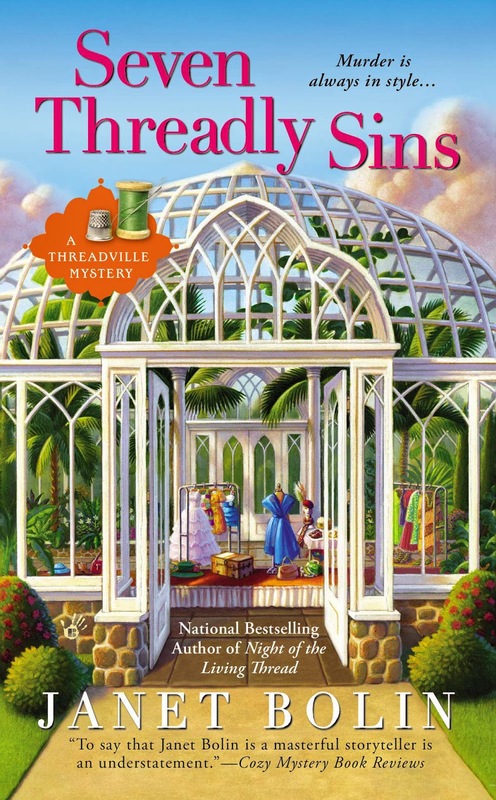 SEVEN THREADLY SINS is the fifth book in the Threadville Mystery series by National Bestselling author, Janet Bolin. Follow Janet on facebook and twitter. Wow this sounds like a really good series. I'll have to check it out! !